A roof replacement project isn’t the most disruptive home improvement project there is, but it nonetheless requires a lot of consideration. Although you won’t be doing the heavy lifting yourself, you ought to understand how things work so you can properly monitor its progress. 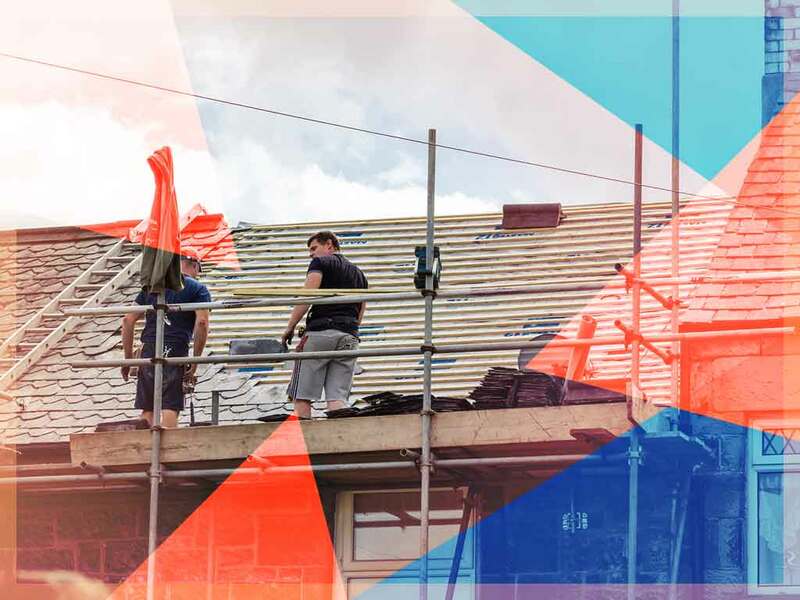 As the inexperienced party in the project, it’s imperative to ask your roofing contractor the right questions to get your head around the process. The chosen roofing material affects everything, from your home’s weather resistance to its curb appeal. While some products are more popular than others, any experienced contractor would tell you your choice should depend on a variety of factors. You need to consider the slope of your roof, the material’s weight, local climate, your budget and your home’s architectural style. You should also put some thought into energy efficiency and maintenance, too. Only after you have factored everything in can you pick the product that makes sense for your situation. Is Overlaying Another Layer of Materials an Option? Some areas allow the application of a second layer of asphalt shingles over an existing one to expedite the installation and save on labor. In most cases, though, its potential savings are a mirage. Without stripping away the old materials, your new roof might age unevenly. An overlay project would also deprive professionals the opportunity to replace bad sheathing, which is detrimental to your home’s overall structural integrity. An experienced roofing company would advise you against it when there’s damage to the decking and when your old roof violates the latest building code. What Is Concerning About the Project? Seasoned roofers can generally determine whether unpleasant surprises are likely to show themselves, which helps you prepare your budget for contingencies. Barring unexpected structural problems, an asphalt roof replacement job only takes one week to finish. But then again, many things could stall your project. Inclement weather, lead time problems and permit delays are some of the things that can affect the job’s timeline. An experienced roofer, however, knows how to plan ahead to keep your project on track. With over 20 years of industry excellence, you can rely on 1-800-RITE-ROOF to plan your roof replacement project to perfection. Call us at (262) 373-3800 now to schedule your FREE, in-home consultation and estimate at your convenience.